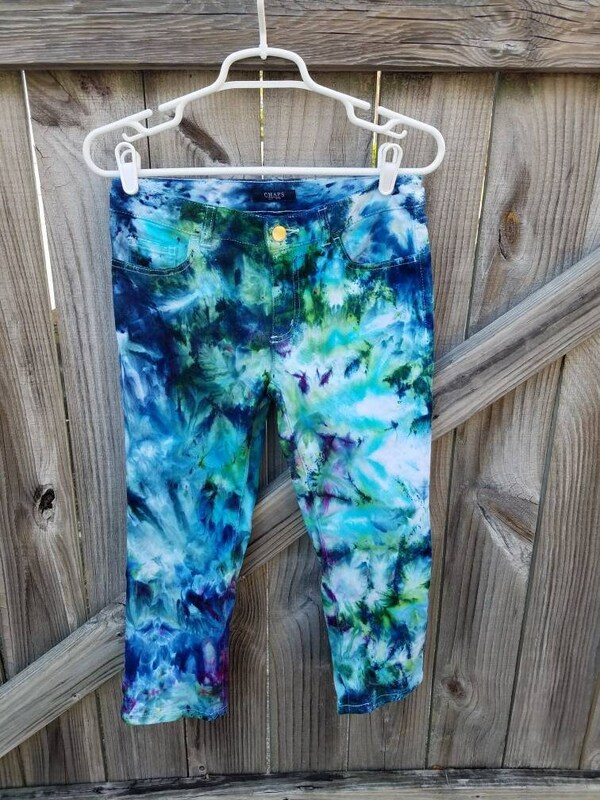 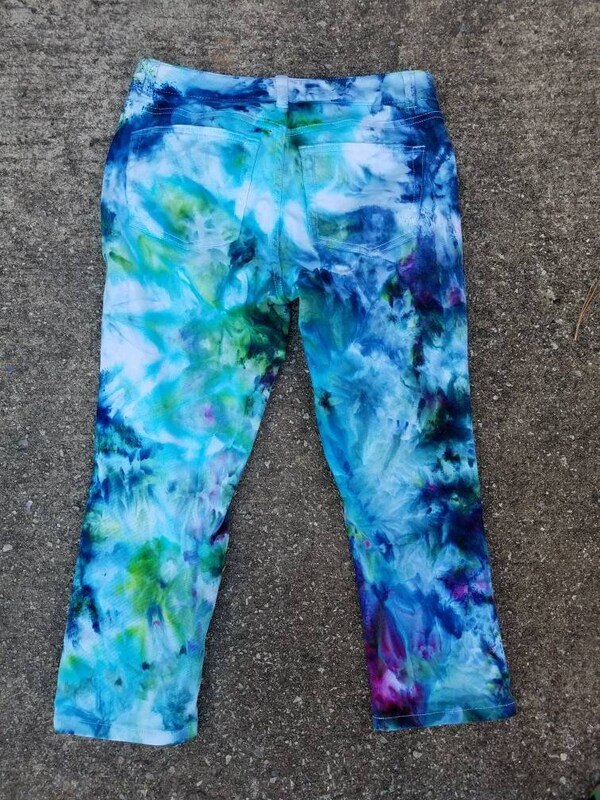 Stand out in this one of a kind, hand dyed, upcycled denim capri. 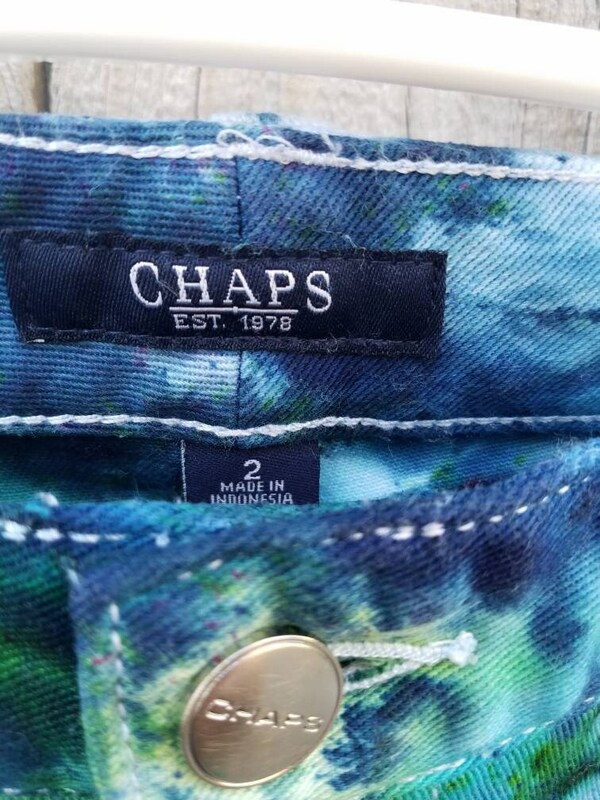 The brand is Chaps and is a size 2 cotton elastane blend. 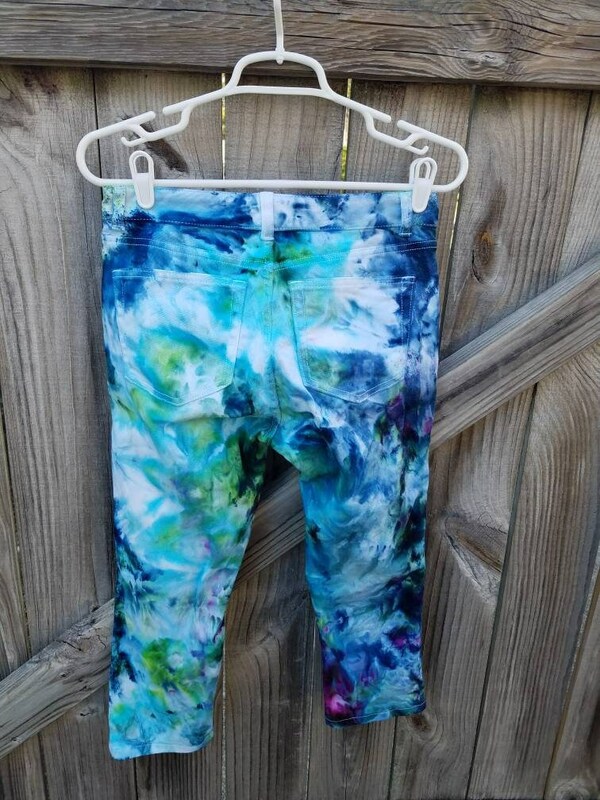 The capris measure approximately 29 inches from the top to the bottom. 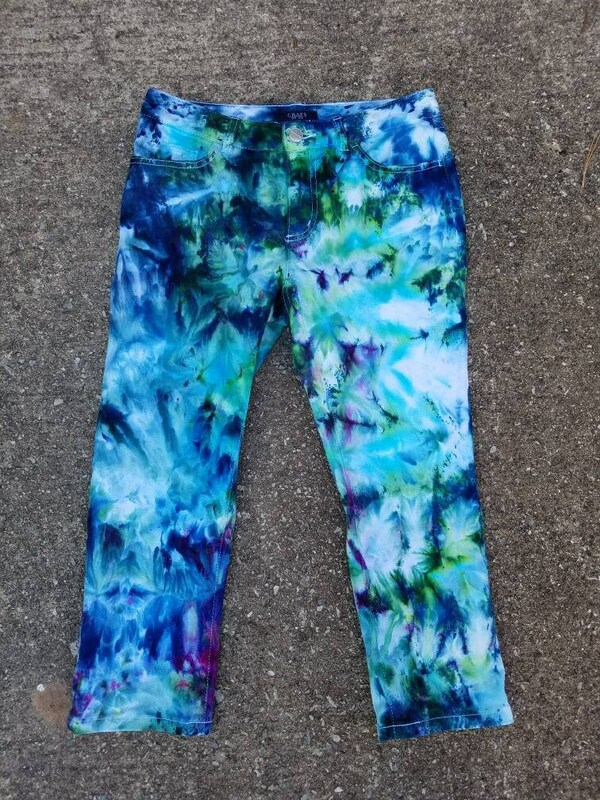 The waist measures approximately 28 inches around.